To maintain sustainable global environment, we perform various activities to reduce environmental impact. 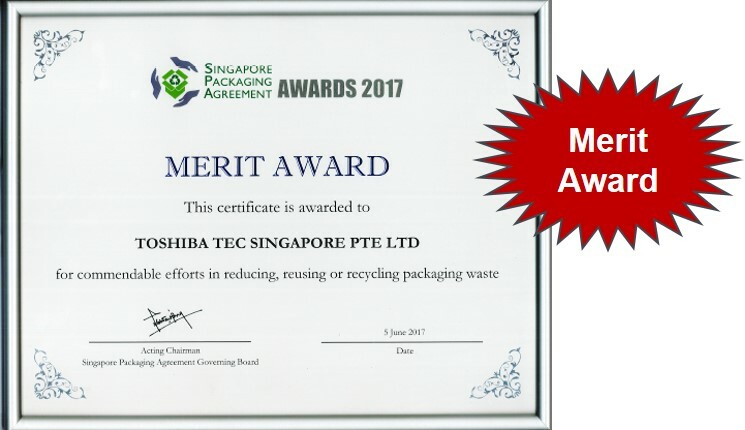 Toshiba TEC Singapore Pte Ltd – Activities to biological diversity activities to waste management Carbon balance project. Please click on the screen, and have a look of the short movies. 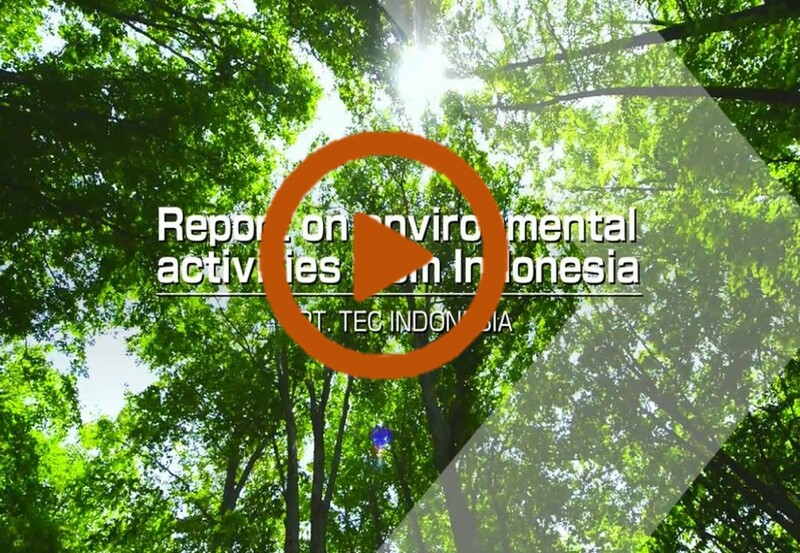 PTE TEC Indonesia – Reuse of chemical substances for washing reduction of the chemical substance. Reuse of the rainwater. 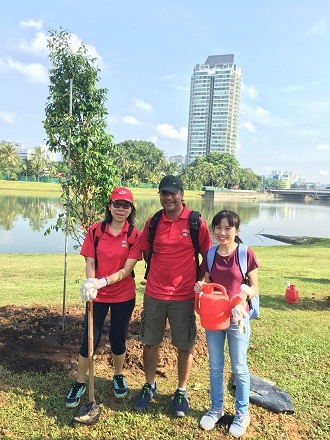 A total of 21 volunteers from Toshiba and e-waste partners (8 companies) took part in this year Plan-A-Tree program. 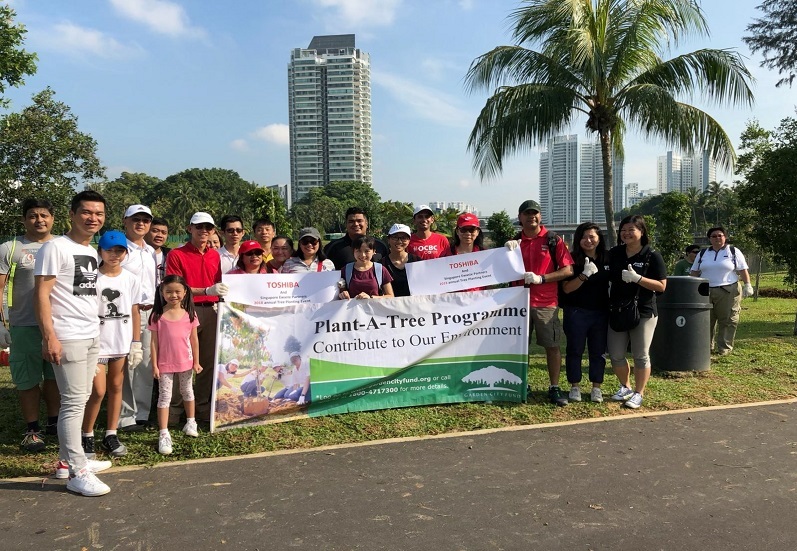 This program was in collaboration with National Parks Board and Garden City fund on 28 Apr 2018 at Kallang Riverside Park. 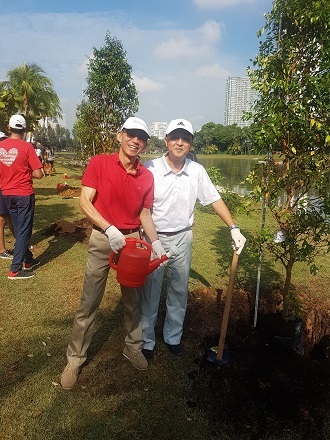 A total of 5 trees were planted. The name of the species planted is: Syzygium zeylanicum, common name Kelat Nenasi. Flowers attract moth, butterfly; fruits are eaten by birds, squirrels and other fruit-eating animals. 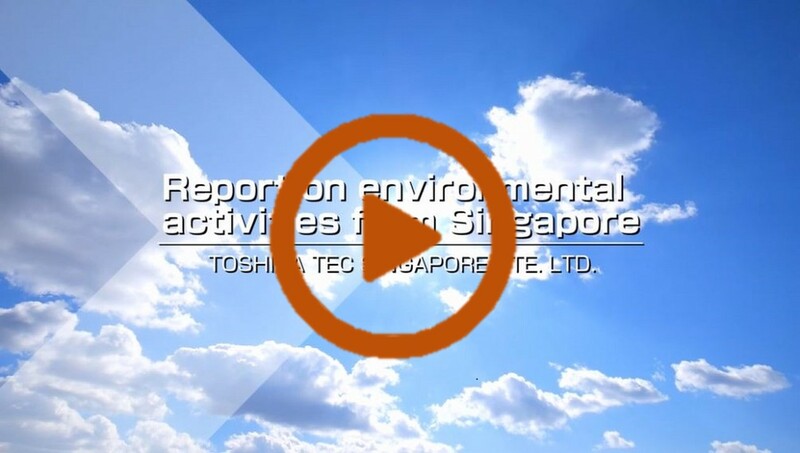 In TOSHIBA TEC Singapore, we continuously educate employees on internal processes for properly disposing of electronic equipment used at work, including monitors and laptops. TOSHIBA TEC Singapore organizes annual recycling week for employees at workplace to collect and dispose e-waste to licensed e-waste collector. We used to received dot matrix printers packed in carton boxes from our suppliers on wooden pallets. 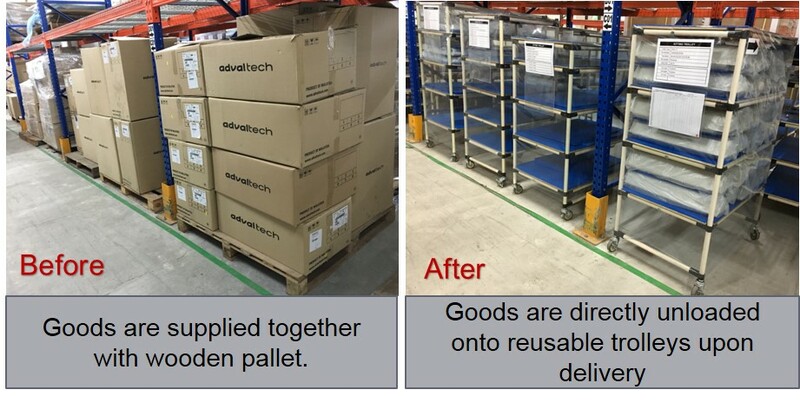 We eliminate the use of wooden pallets by providing our suppliers with reusable trolleys which were made in-house, modified from existing warehouse storage racks. Since December 2016, suppliers have been supplying the printer components without wooden pallets. 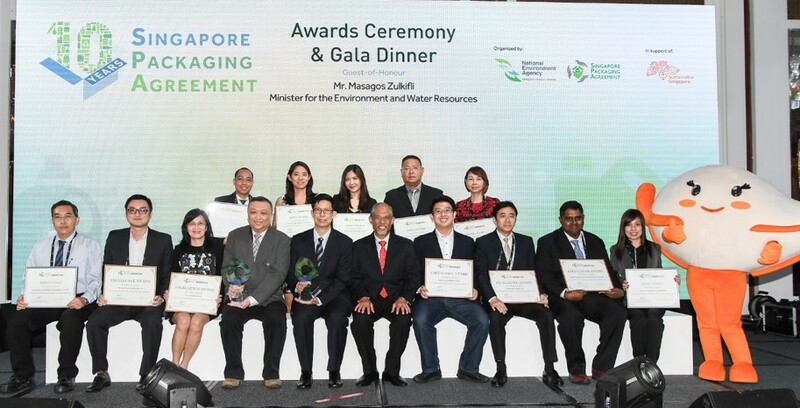 Herewith, we have avoid 9.26 tonnes of wooden packaging waste annually.